Welcome to the CSULB American Studies Program website! We hope that you will find most of the information about the program that you need here. If not, e-mail us and we will be happy to help. 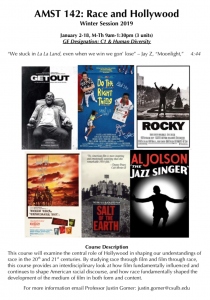 We are offering AMST 142: Race & Hollywood during Winter Session. There are still spots available. 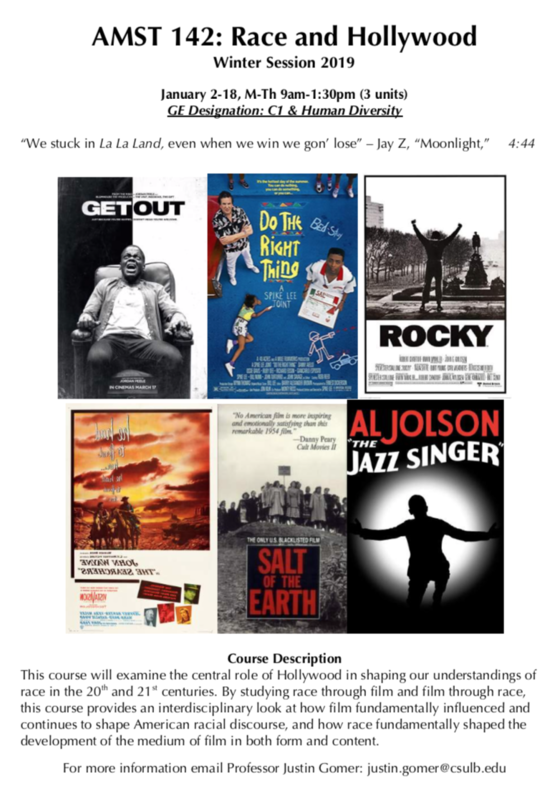 Click here for more information on the course. As noted American Studies scholar George Lipsitz explains, American Studies is an interdisciplinary field that examines American life and culture.The work of American Studies takes place both on campuses and in communities. American Studies scholars investigate where the ideals of American democracy are at their finest and where they remain incomplete. We ask key questions like: What is an American? What are the lived experiences of people who inhabit our nation? For more, read our program description. American Studies students receive a broad liberal arts education focusing on American culture, traditions, artistic and material production, ideas, identities, and spaces. The major in American Studies offers a solid background for careers in law, journalism, public service, business, and education. The program also provides the foundation for graduate work in American Studies and related fields. In other words, the knowledge and skills our majors acquire prepares them to succeed in just about any field. We are pleased to offer the following tenure track employment opportunity within our department.